Next month, Seattle Opera raises the curtain on Rossini's comic masterpiece The Barber of Seville, an opera which introduces audiences to the quick-witted barber Figaro and his friends. Barber also features the love-struck Count Almaviva, a role for which tenor Lawrence Brownlee -- a Seattle favorite and a past Artist of the Year -- returns. Having Brownlee in the opening night cast gives us an especially exciting opportunity: his performances will feature Almaviva's commonly-excluded final aria, "Cessa di più resistere." "The most important reason for not doing the aria is because it is fiendishly difficult, and only those tenors who can sing it easily should do it," says Speight Jenkins. "We are very fortunate in Seattle to have one of those tenors, Lawrence Brownlee. When a tenor enjoys singing it, it simply must be done." Based on these videos, who do you think does the best job? Midgette said she'd reserve much of her judgment until after witnessing Brownlee live -- and a few days later she reviewed WNO's production of Barber and praised his performance. "He can do the showy fireworks that the role requires with aplomb, as he displayed in the tour de force eight-minute final aria, 'Cessa di più resistere,' which was every bit the show-stopper it needs to be." 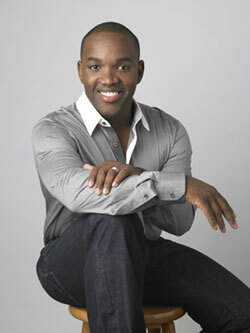 Lawrence Brownlee sang the aria in question in Bart Sher's production of Barber of Seville at the Metropolitan Opera. Photo by Ken Howard. Needless to say, we're all looking forward to hearing Brownlee tackle the aria here in Seattle. How about you? Have you ever heard it performed live before? I always loved Araiza's voice when I performed with him at the Met, especially before he started singing roles that were too heavy for him. 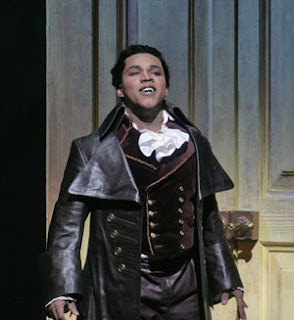 I remember doing 'Barbiere' with Rocky Blake there, too, and his voice wasn't as beautiful as Ariaza's but his technique was almost flawless. He sounds terrifically strong in this rendition. I admit to having a soft spot for Florez; not only is his voice a delight, but he's such an appealing performer. I now admit to being completely convinced by Brownlee; beautifully lyric voice, and fantastic technique. All things considered, he gets my vote. No one ever heard Ramon Vargas? How can such comparisons be complete? Brownlee is a good singer, but as an operatic performer I have much more reservations. It is not just about voice and technique. And the video about Araiza isn't in operatic performance. Get another one, lol!